Since Z arrived in the big metro last February, he has been scheduled for a weekly session for physical therapy. He needs this to help him develop his gross motor skills such as walking, running, crawling, etc. 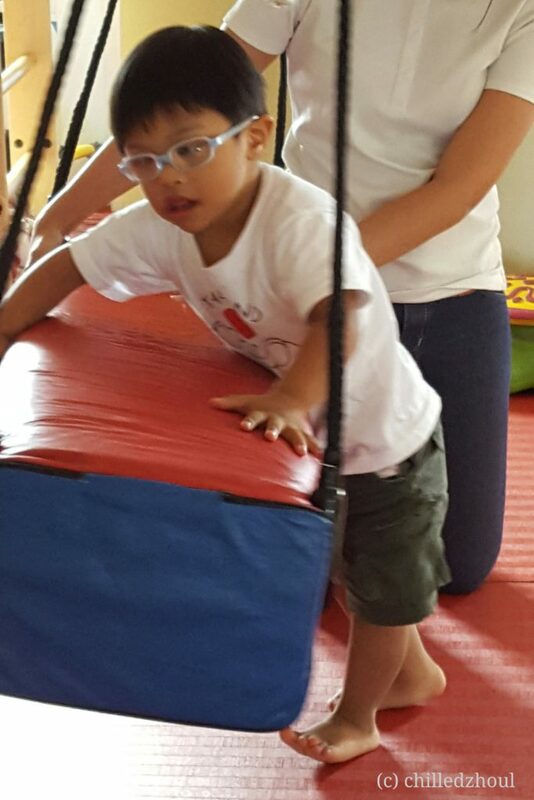 While Z is already walking, he still needs to have his core muscles strengthened for him to have better balance. 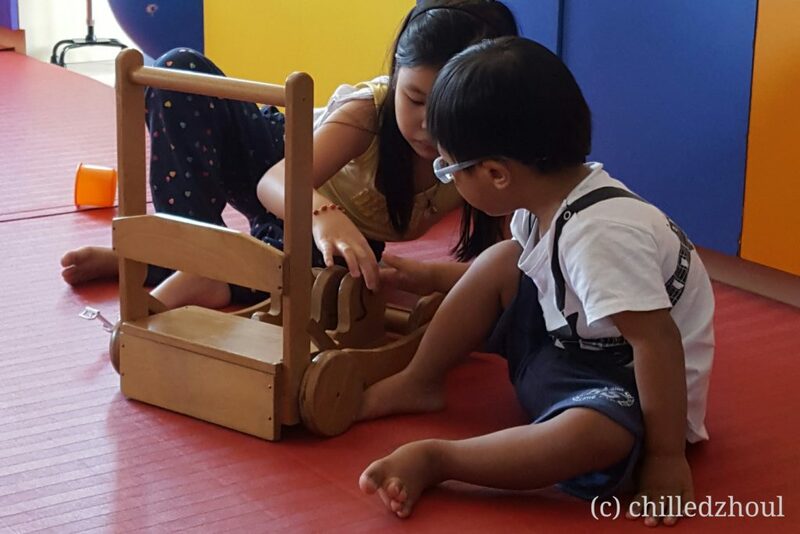 Sometimes, when Z’s teacher is not on guard, and she is quite petite, he would topple her. 😀 Given Z’s condition, a lot of people are amazed with his strength. 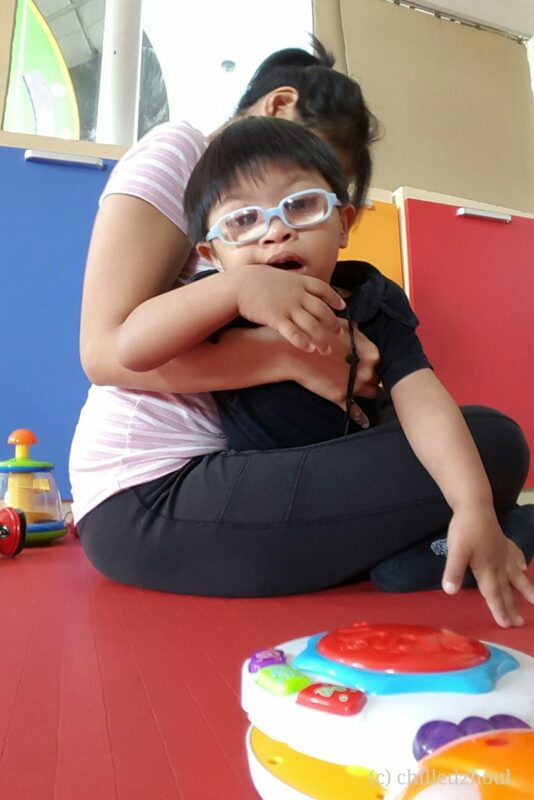 During therapy, Z works on strengthening his core muscles, including posture. 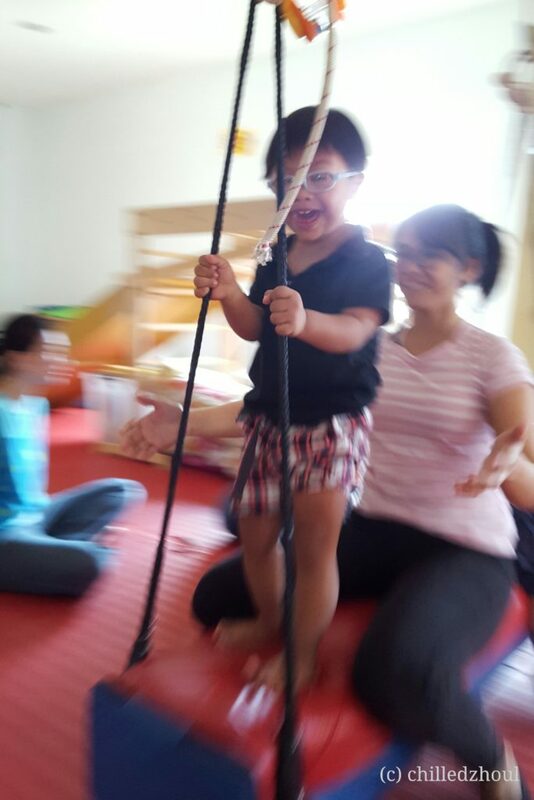 The exercises being done are mostly stretching and turning sideways (it was found out that Z can turn from his waist to one side but not much on the other), reaching above his head (so his back will straighten), walking up on elevated planks or on the slide, and lately, Z was put on a swing. His biggest accomplishment so far – standing up on a swing. Yipee! In the short time that Z has been on physical therapy, his progress is actually amazing. He’s walking a lot better now, straighter and not much with his shoulders hunched up. He’s walking a lot better now, straighter and not much with his shoulders hunched up. His feet are not too far apart, too, when he takes steps and no longer depends on momentum when he walks. And when he goes through his toy box, he now squats and stands up on his own. He can even run better now. It won’t be long now until he starts running the way he should be. Z still has a long way to go but he is on the right track.